The rooms provided by Hotel Siddhivinayak Celebrations have been decorated and designed very beautifully. The hotel is located in the neighborhood of Ojhar in Nashik. The rooms have been decorated in neutral hues and some of the walls have been painted in vibrant colors. The head side of the bed has been decorated with a beautiful painting. The rooms are well-furnished and a lot of wooden elements have been used throughout the interior decor of the room. The wise use of artificial lights makes the rooms well-lit. All the rooms have been provided with large windows which let the guests enjoy some amazing views, fresh air and a lot of sunlight. The windows are covered with long curtains. The other elements of color are the cushions and the bed sheets used in the rooms. The hotel also provides some extra facilities like parking provisions, an in-house restaurant, a common kitchen, a conference room, CCTV cameras, a banquet hall, a common dining area, an uninterrupted power backup source, and free Wi-Fi. 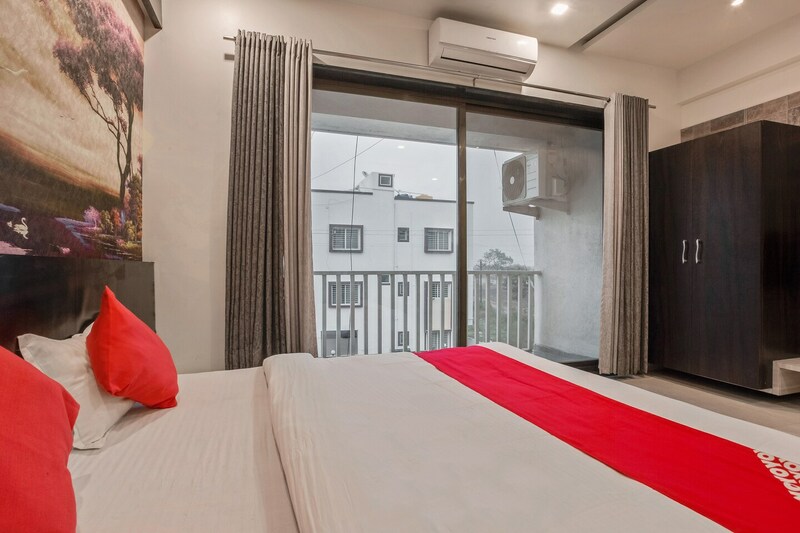 The hotel is close to a number of amenities such as Nisaro Lawns, Mamu Devi Temple, Janardan Swami Ashram, Sai Shree Superspeciality Hospital, Lord Hanuman Temple, and Hindu Temple.